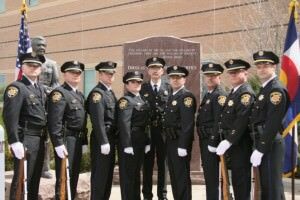 The Douglas County Sheriff’s Office Honor Guard is the special team deployed for community events, posting of the colors, and to show respect and honor for fallen law enforcement officers during burial. 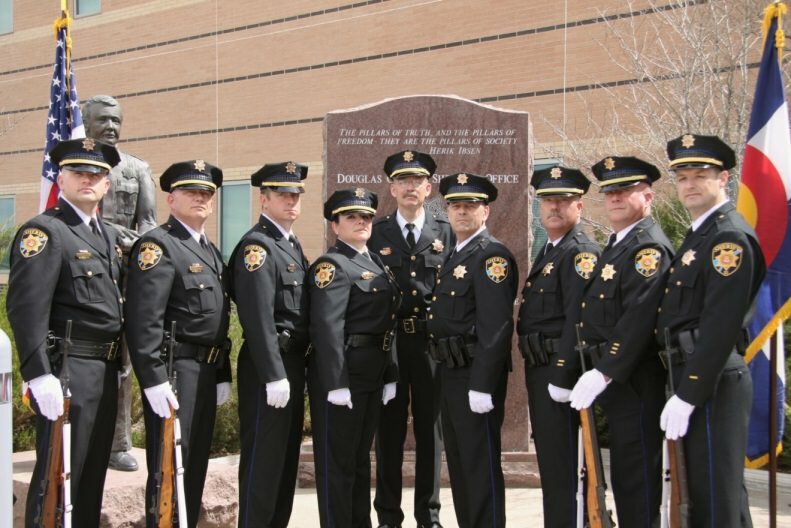 The Honor Guard began in 1999 when DCSO Deputy Ron King was killed on duty by a drunk driver. The sheriff’s office needed a special way to recognize King with the honor and respect he deserved. Only the top of the class gets to be part of the guard. The deputies must meet high standards set by the sheriff’s office and the county. As the face of the office, the deputies bear the responsibility of upholding the traditions of self-sacrifice, ethics, and a willingness to put others before self to make their community a better place for all. The guard trains frequently throughout the year, polishing their performance to perfection. They have to be ready at a moment’s notice without hesitation. They want to be prepared for the day they need to honor a fallen officer.